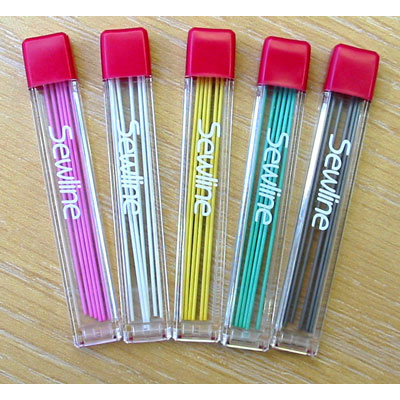 Lead Refills for the Sewline Fabric Pencil. Choice of colours - see bottom of page. Pull the whole eraser section from the barrel. This reveals barrel chamber access, Slide in up to 6 leads. Replace eraser and rotate section to retract. Press down eraser end several times to advance the new lead.